This handy coaching tool helps you keep track of your team and create plays on the spot. 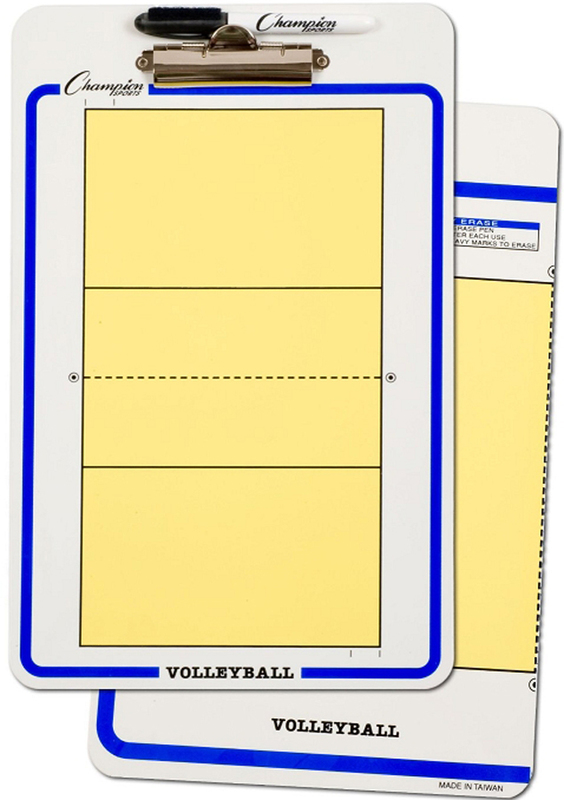 The Dry-Erase Volleyball Clipboard features a full court image on the front, and a half court image on the back to help you write down and demonstrate plays. It also features an easy, wipe-off surface and a dry-erase marker.